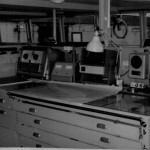 All photographs in this section are subject to copyright. 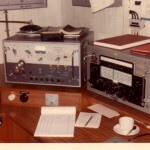 The photographs have kindly been supplied by Ross Bradshaw and are taken from his book CQ – GTZM Diary of a Maritime Radio Officer © This is a comprehensive collection covering an interesting period when many members were at sea. 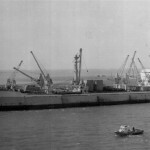 It will take time to get them all loaded so please be patient. 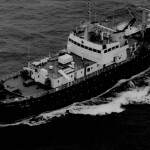 The ROA is most grateful to Ross in allowing us to publish these photos. 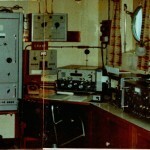 Radio room: Lady of Mann/GVEQ. 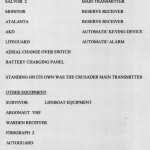 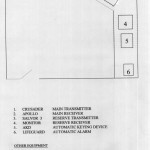 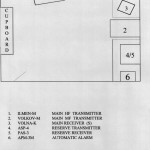 Equipment in the rack comprises: Sentinel reserve receiver, AKD N Auto Keying Device and Lifeguard N Auto Alarm. 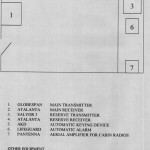 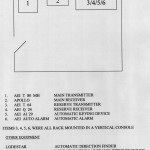 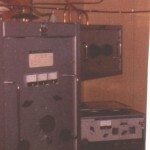 Far right is a broadcast amplifier (name not known). 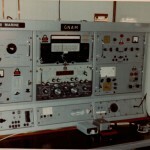 Radio Room: Cirolana/GNAM. 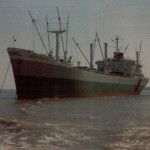 A quote from Ross: “Cirolana was a fishery research vessel, she was built in 1970 by Ferguson Brothers in Port Glasgow, was 1,731 gross tons, and was 237 foot long and 36 feet broad in the beam. 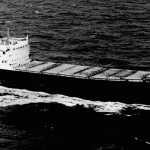 She would carry thirty crew and ten scientists. 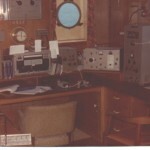 Unlike all the other ships I have been on, she was diesel-electric powered. 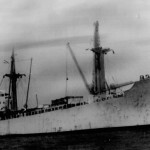 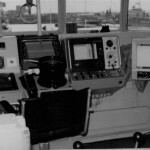 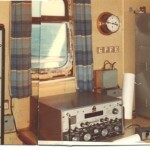 I was astounded to find the vessel was very well fitted out; there was as much radio gear on the bridge as in the radio room, and there were things I had only heard of – such as satellite navigation. 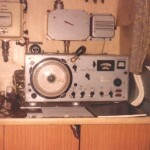 I had never seen this so far at sea, yet on this little fishing vessel there was the lot! 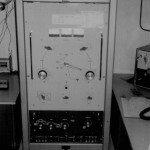 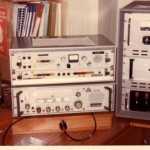 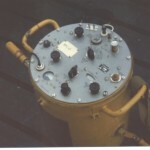 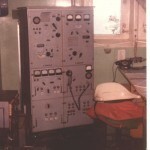 My main transmitter was the Crusader with 1,000 watts output, a lot more than some deep sea ships had. 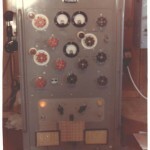 I did not see any problems making contacts around the coast with that power. 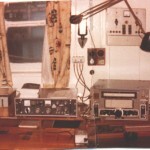 Radio Room: Hero/GRHU. 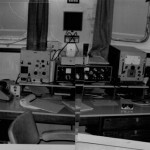 Ross has stitched together a couple of photos to give a panoramic view. 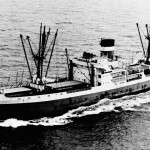 Hero was a Ro/Ro ferry operating between the UK and Denmark. 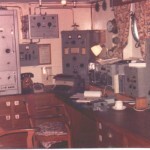 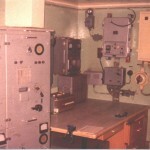 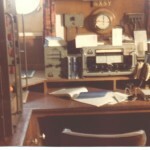 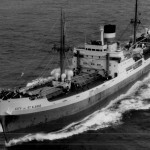 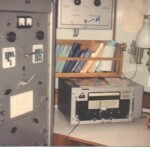 Radio Room: Isle of Man ferry, Lady Of Mann/GVEQ showing Salvor Emergency Transmitter and Atalanta main receiver. 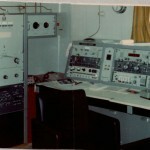 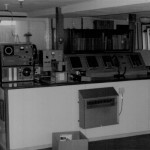 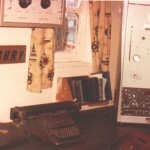 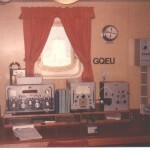 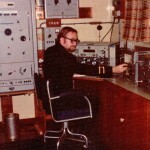 Radio Room: Interoceanic 1 or Geroi Novorossysk/UFKQ. 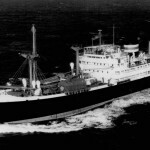 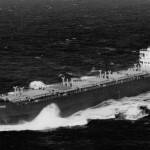 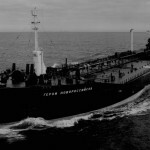 This vessel was bought by the Russians after the original owners did not finalise purchase of the ships. 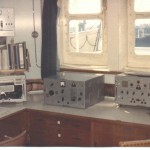 Ross took this vessel on trials before handing the vessel over to a Russian Radio Officer. 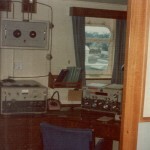 Radio Room: Hero/GRHU. 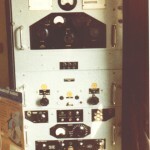 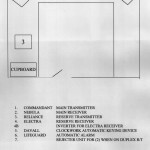 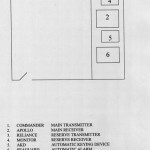 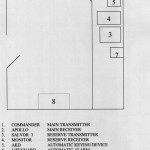 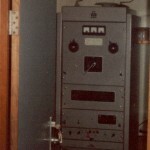 Marconi Commandant main transmitter.